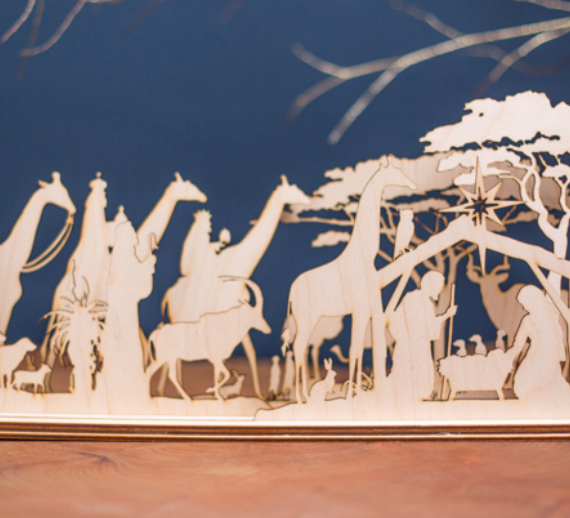 This Christmas, tell the nativity story with an South African twist. 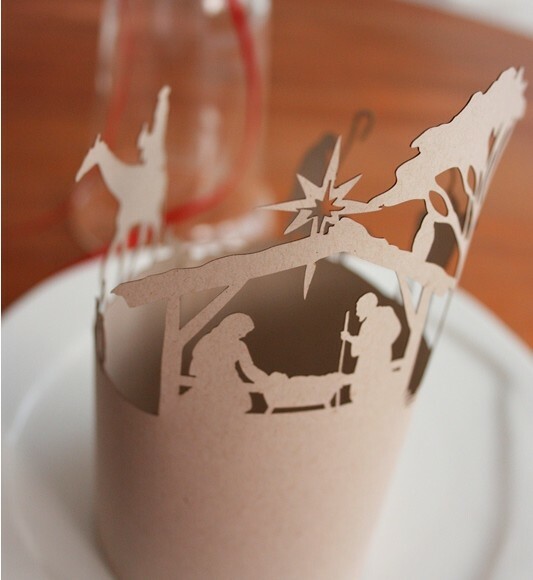 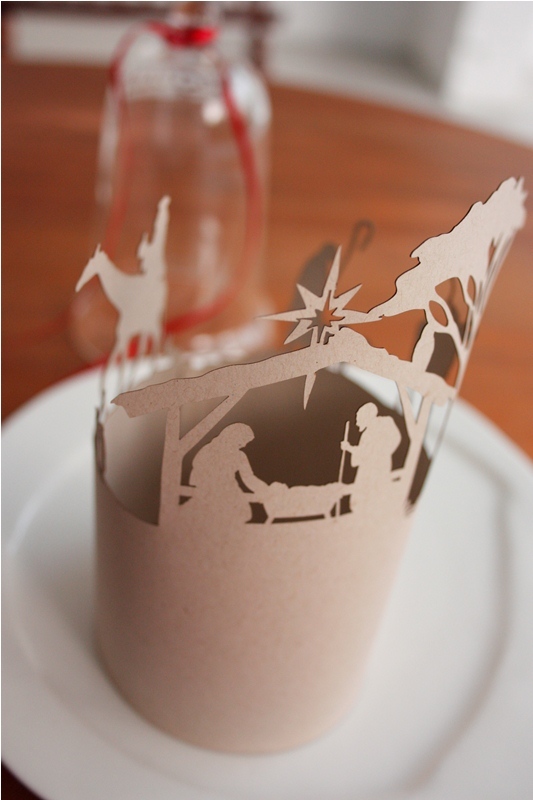 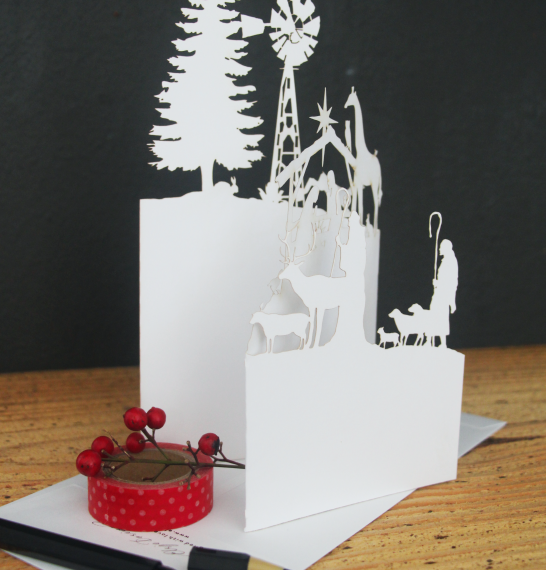 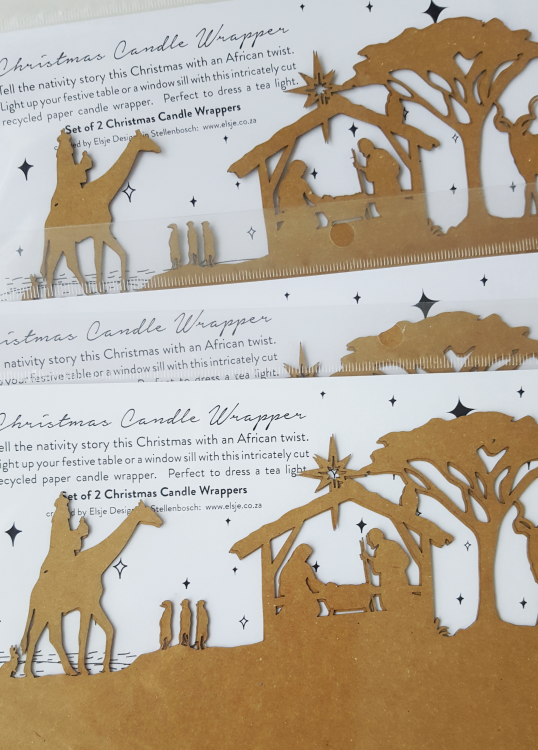 Laser cut recycled paper candle wrappers will light up your home. 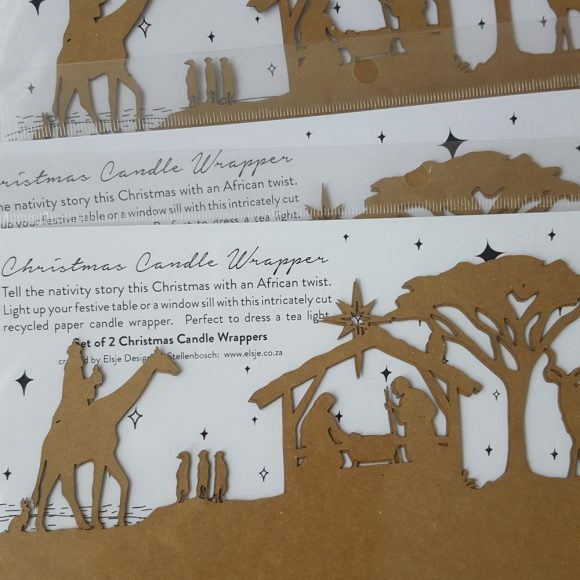 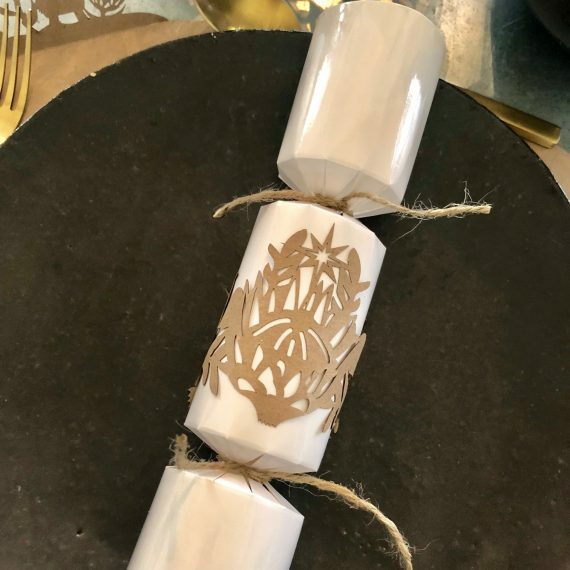 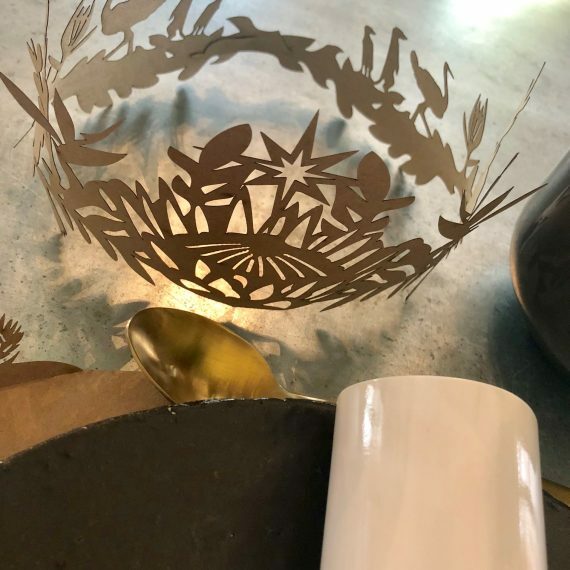 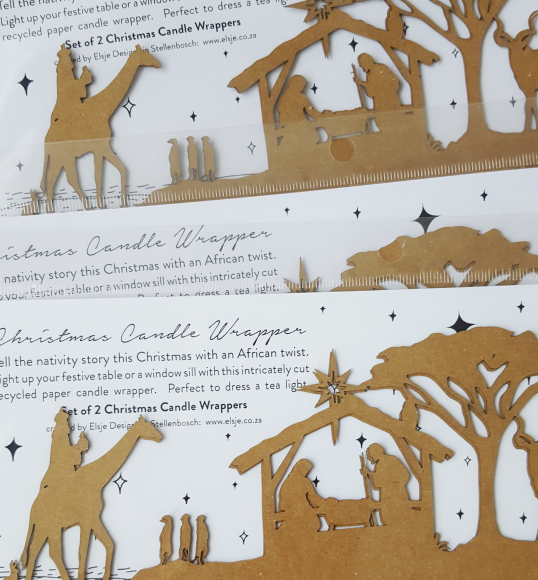 Featuring a wise man on a camel, a kudu, a spotted eagle owl on the roof of the stable, baby Jesus in his crib – bringing your festive table to life with this unique candle wrapper. 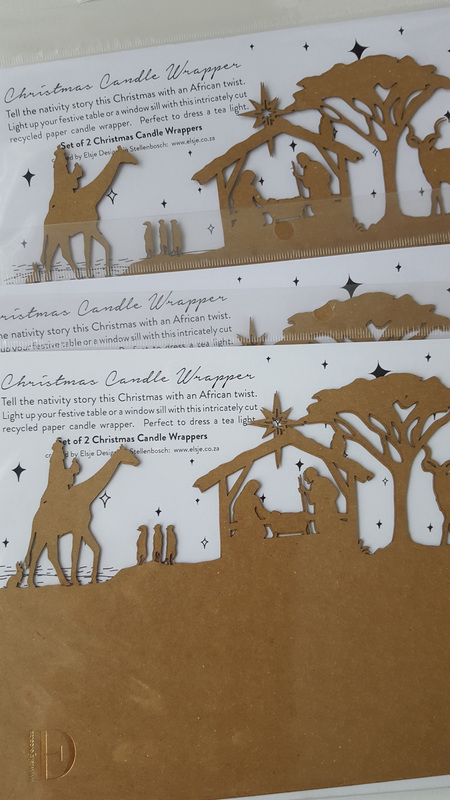 Two wrappers per set.